By quickly identifying their color personality. This isn't a boring research textbook on the four different personalities. 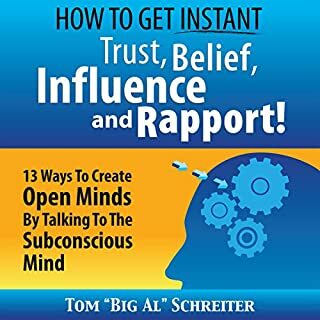 This audiobook is a fun, easy way to know how your prospects think, and the precise magic words to say to each of the four personalities. Why be frustrated with prospects? Instead, quickly discover the four personalities in a fun way that you will always remember. You will enjoy observing and analyzing your friends, co-workers, and relatives, and you'll see the way they see the world. 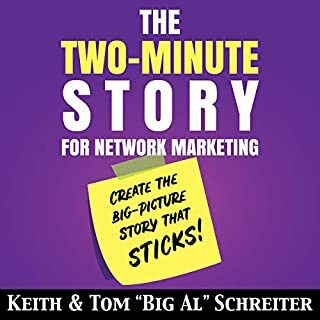 It feels like you have 3-D glasses in your network marketing career. What could be better than that? You won't have to look for great prospects when you know the four color personalities. You will have the ability to turn ordinary people into hot prospects by knowing their color personality and by saying the right words. By using humorous, slightly exaggerated examples of the four personality traits, you will remember and use this skill immediately. Life is more fun when you are the only one with the 3-D glasses. Network marketing professional to business owners to doctors need to understand and be fluent in The Four Color Personalities. Share information with people in a way that they understand is the basis of communication. It is a language just as English, Spanish, Chinese or any other. It is just that this language is required to speak all others. I thought I knew the different colors, but I learned so much more with this book. 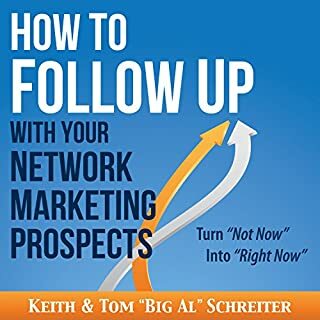 I'm a leader in network marketing and will be recommending this book to everyone on my team! Enjoyed this book very much. Highly recommend. Great information for growing a profitable business. Enjoy! Great tips and information on how to recognize your prospects personality type and how to speak their language! This is a really informative book. It brought some things to my attention that I hadn't ever thought to address or change in my presentations. amazing narrator! easy to grasp the message. I loved this book. 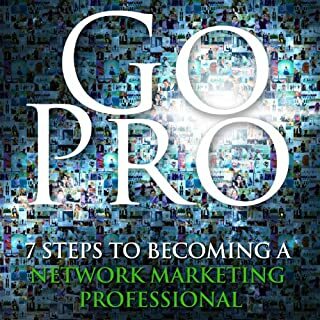 I learned how to identify personalities easier and this is helping me to to better mtself as a network marketer! this is AWESOME! get this into your library now! it's worth every single penny! so fun to read couldn't stop! Finished the audio and then listened again with my husband in the same day! 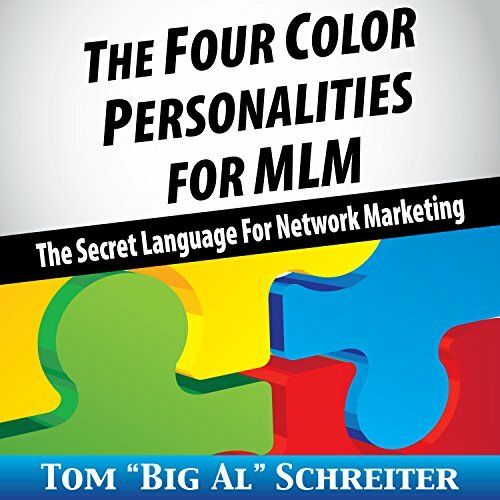 What made the experience of listening to The Four Color Personalities for MLM the most enjoyable? The stories given to illustrate the different personalities, whilst extreme, made the traits so vivid it's easier to retain the learning. Have you listened to any of Dan Culhane’s other performances? How does this one compare? I really loved this book! I'd taken personality tests online and came up as one and was definately not me. After listening to this book I now know what personality I am and how to look for other people's colours. I also learnt which language is best to use round each personality. Incredibly helpful. People watching an interesting and sometimes amusing activity, but this book takes this activity to another level because you learn to listen more than look. Listening and understanding is key. I got so much value from this audio book. It has really made me see people in a different light. I have a much better understanding of why people behave the way they do. & I feel this will massively increase my activity and results. thank you! 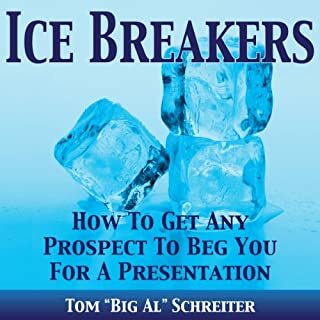 This audiobook is very informative, useful and helpful and makes an interesting listen in regards to learning how best to speak to prospects. It’s also extremely witty and had me laughing out loud in many places. Highly recommend! 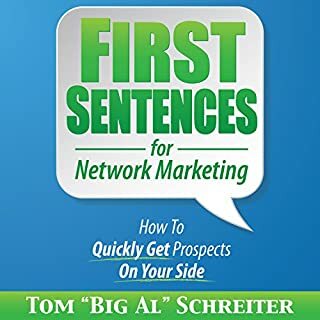 Brilliant read and i love the humour 😁 Very useful network marketing tool. Highly recommend. Great way to breakdown personalities and human behaviour. Quick and too the point making it easily digestible. Great book. I have learnt a lot about the different colours in people. Must buy. When you get to the colour personality you are you will have goosebumps! This book was such a good listen! I loved every bit! Definitely helps with mlm!! Good messages but over the top delivery. American hype. Similar messages as DiSK profiling but with colours. I thoroughly enjoyed this book. The narrator is excellent. I found the content informative, interesting and funny; at times I even laughed out loud . It's easy to listen to and follow along. I am glad I made this purchase and I am interested in finding out more about the 4 color personalities.